According to Murphy’s law, flat tires will happen at the most inconvenient times. Thankfully, Rhinotire law asserts that flat tires should and can be a thing of the past. 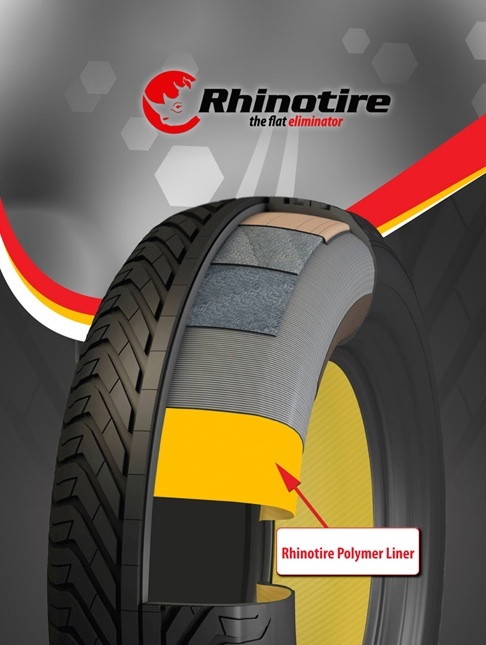 Kevin Fields understands that there is no convenient time to get a flat tire; that’s why he created Rhinotire, “the first and only solution introduced to the market to completely eliminate tire failure.” Fields sprays a polymer byproduct inside standard tires to help prevent low tire pressure, flats, and inconvenience. When tires are punctured, Rhinotire quickly fills the hole and hardens to prevent any loss of tire pressure. Not only does this eliminate the worry of having to replace tires, but it can also reduce road noise (by up to 30 decibels! ), increase fuel economy, and increase ride comfort. Fields has joined Fundable with a goal of $5,000.00. These funds will be used to increase distribution of Rhinotire. Sound too good to be true? Check out Kevin Fields’ video on Fundable.com and prepare to be amazed!